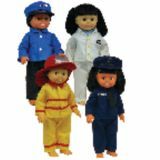 Each outfit features a Velcro closure in the back and includes a matching hat. 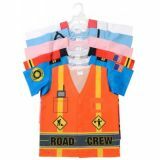 Cotton blend, washable, color firm, highly durable. 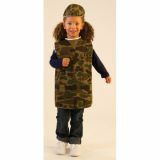 Ages 2-6. 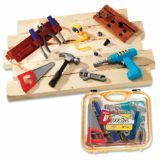 Encourage early imaginative play with chunky tools made from durable, soft plastic. Safe practice for the youngest wanna-be docs! 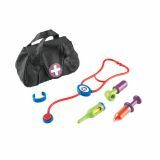 Includes stethoscope, syringe, bandage, ear scope, thermometer and vinyl bag measuring 6 3⁄4"W x 5"H. 6 pieces per set. Ages 2 and up. 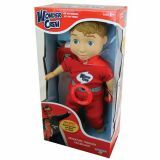 Children can play their way to a healthy lifestyle! 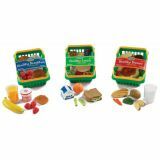 These 3 baskets full of healthy meal choices are packed with realistic-looking, nutritious foods and include Activity Cards for each meal. 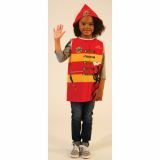 All pieces are actual size and washable. The kids are happily playing "school" –but the teacher's running low on supplies! 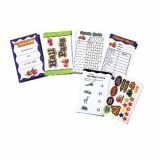 Let the play continue with this replacement set of supplies no budding teacher should be without: report cards, stickers, grade book, certificates of excellence, hall passes, and activity sheets for both math and spelling! 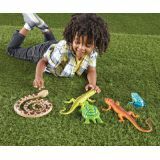 210 pieces in all for use with or without Pretend & Play® School Set (LER2642). 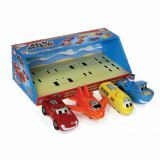 Packaged in a box so their pretend desk can be as tidy as yours!